Karissa lives life through the eyes of a storyteller. She sees with a unique perspective and pieces things together, creating images and stories that make things come to life. She dreams big, lives big and loves big. Her heart is filled with compassion for others and she’ll be a trusted confidant no matter what. Karissa is originally from Greenfield, the youngest of 4 siblings. She’s a strong girl, but she’s pretty much had to be – fighting her way through the world of older and other strong-willed siblings! The last couple years have taken her to different cities with the purpose of education, writing, internships and self-discovery. The adventures have brought her back here to Syracuse where she’s excited to invest in the youth of our community and has a passion to see students come into the fullness of their identity and calling. She loves rainstorms; puzzles; musical theater and coffee shops. She enjoys little nooks and can often be found hiding in a small space with a book or puzzle. At Vineyard, Karissa is the Director of Middle School Ministries and Creative Arts. She plays a huge part in the vision and direction of our young student ministries by casting vision, raising up leaders and creating an environment for students to grow and thrive. She also works to incorporate the arts and creativity into our celebration services to create space for visual & emotional impact. 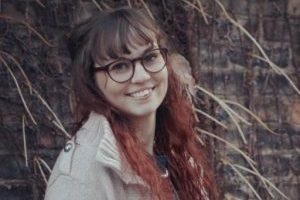 In her lifetime, Karissa would like to see the Performing Arts being used with excellence in the church to reach those who would never step into a church, but could be impacted through a powerful message.